I’m a massive fan of purple eyeshadow. Purple compliments blue and green eyes beautifully and it looks amazing on brown eyes as well, since it has blue in it. So brown eyeshadow isn’t the only one, that suits everyone. Purple comes right behind that! Purple also looks amazing paired with a duochrome shade. In this look I used my NYX Perfect Filter palette* in the shade Marine Layer and it has this beautiful purple-turquoise duochrome shade in it. I’ve talked about Perfect Filter -palettes before, but they are honestly one of my favorite palettes. They come in a handy size, the quality in the shades is bomb and you can use the colors wet or dry. 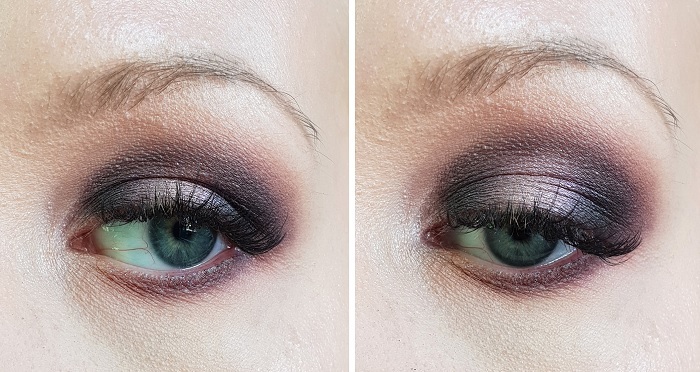 Besides using that palette I also used one warm brown color from my other Perfect Filter palette (link to the tutorial made with that palette). Start by using a warm brown shade as your transition color. Contour your eye in your crease or above it, if your eye is hooded or deep set. Mine is deep set, so I contour my eye right where the natural shadow occurs. Apply this color also to your lower lashline and make it smoky. Blend this color well, so that it blends in to your skin flawlessly. This is an important step, since it makes the base of the colors and it makes all the colors blend together seamlessly. 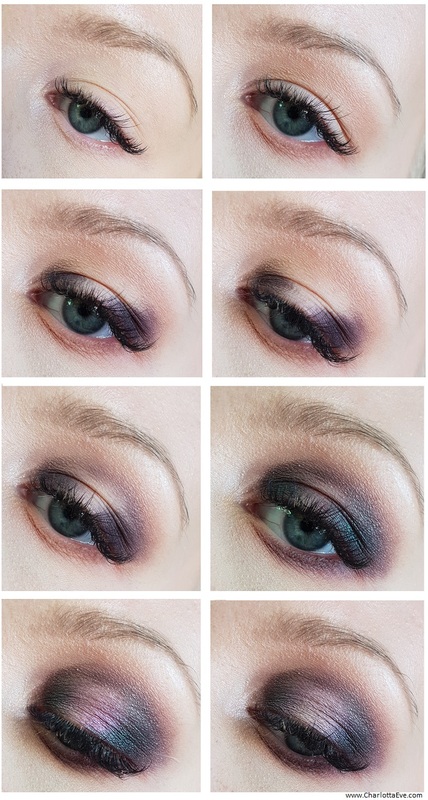 Then start to create a halo effect, by adding purple to your outer and inner corners. 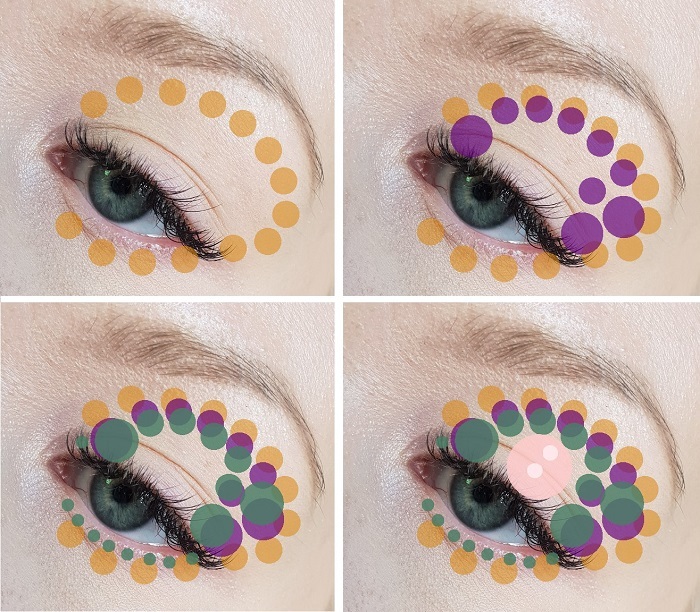 Blend carefully those colors upwards and with a windshield motion combine them in your crease. You want the heaviest deposit of the color right in those corners, but you still want to make the halo (that round shape) visible. Add the duochrome shade where you applied the purple color and blend it well – but leave the middle of your lid quite bare. Apply this color also to your lower lashline. Add your halo effect to the middle of your lid by pressing on a light pink shade. I used the other duochrome shade from the palette. To make this pop, I also applied some of the lighter pink shade right in the middle of that color, so that it gets more definition. Finish the look with an inner corner highlight, optional liner and mascara or lashes. All done! And here’s a paint-version, to show you the color placement better. 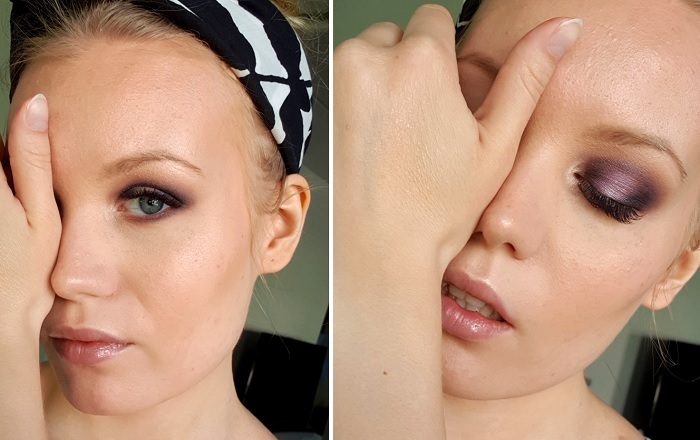 I may have – or may not have only done my one eye for the sake of this tutorial. 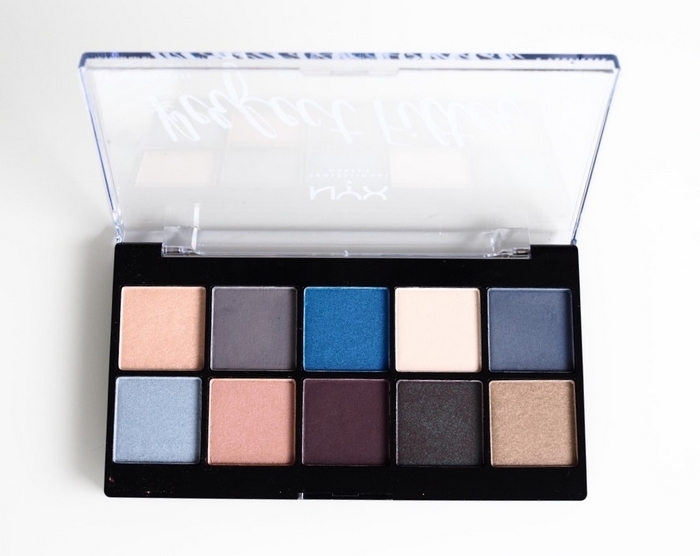 NYX Perfect Filter palette in the shade Marine Layer. Love at first sight. 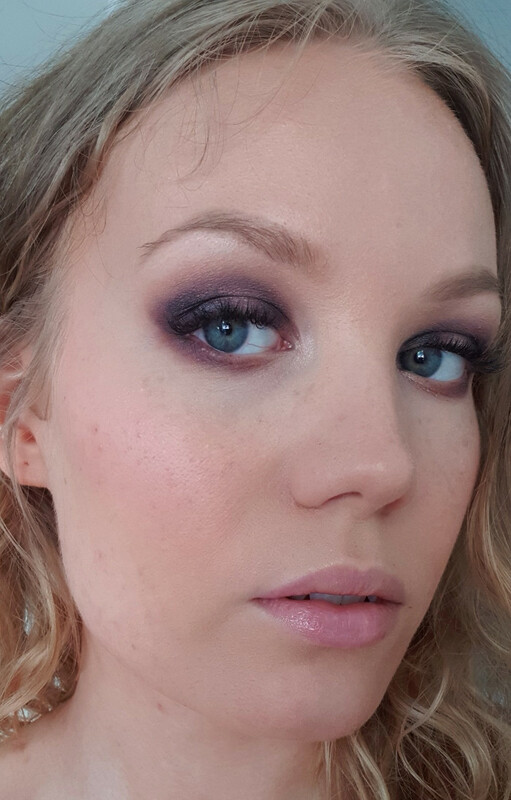 That gorgeous purple duochrome shade from NYX Perfect Filter Marine Layers palette. That’s it for the tutorial. What do you think of this look? Using a duochrome shade brings so much dimension to the look! I think I need more duochromes in my life. Btw, I got a new phone and I filmed this tutorial with it. It’s so much easier and quicker that way. The quality is good, right? Phones are crazy nowadays. I think I could do more tutorials, now that I can do it with my phone. Making more of them also means improving, hopefully – as I want these tutorials to be helpful, but also nice to look at. Kaunis meikki ja hyvä ohje sen tekemiseen! Love this look. I think it would be nice if the instructions for each step followed the pictures of the step, instead of having all the pictures together and all the steps in text together. I kept having to scroll down and up.